Dr. Im describes the four main attributes a successful cosmetic dentist must have: an artistic eye, the ability to understand what a patient wants, the experience and education to create the smiles of a patient’s dreams and an uncompromising commitment to stay cutting edge with the utilization of state-of-the-art technology. It is this commitment to excellence and the pursuit of her dream to be a dentist from a very young age that guided Dr Im though her Bachelors degree in just three years. She went on to complete her dental degree at Loma Linda University, School of Dentistry. As a graduate of all masters’ level courses at the worlds recognized leader in cosmetic dentistry, the prestigious Las Vegas Institute (LVI) for Advanced Dental Studies, Advanced Residencies in TMJ, Sleep Disorders, Orthodontics, the California Implant Institute and is a Fellow of the American Academy of Craniofacial Pain. Dr Im is a Holistic dentist who understands the importance of toxic materials and how they relate to the dental and physiological health of her patients. With specialization in full-mouth reconstruction, Dr Im’s office is equipped with the latest technology, including HD digital x-rays that reduce the radiation exposure by over 90%, intra-oral cameras, three types of advanced lasers, JVA (Joint Vibration Analysis), cold laser, An I-CAT (CBCT) for 3-D imaging, not commonly found in dental offices that takes specialized diagnostic images that can further aid in the treatment of TMJ, Obstructive Sleep Apnea (OSA), implants, and orthodontic patients. Dr Im can better treat the complex cases that she sees routinely. It’s this technology that further sets Dr Im and her team apart. Dr Im is able to provide sedation dentistry allowing ultimate treatment even for the most anxious patient. For all patients’ comfort, the practice has a vast array of amenities including sound-proof headsets that envelope patients in their favorite music or movie, blankets, herb pillows and warm towels add to the experience. 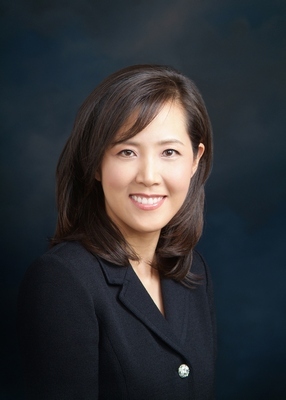 Although Dr Im focuses on cosmetics in her practice, her experience and team makes her popular among her patients young and old for general care such as crowns, fillings and routine hygiene. “I don’t consider this my job, it’s my passion.